SUBSCRIBE TO RECEIVE PRIORITY BOOKING AND KEEP UP TO DATE WITH OUR COURSES AND CAMPS! The free diving training camps are a unique opportunity for free divers to learn and grow. The training is customized to each student to maximize development and progress! Each training camp goes beyond what you will learn in any agency based learning program and have been attended by some of the worlds top athletes. Developed over the past four years by Jonathan, you will learn how to train the body and mind and prepare yourself for peak performance. ​Seven days of intensive training, diet and nutrition, yoga and pilates will bring you to the very top of your game! "I went to Johnny for a training camp because I had heard that he really got the best out of people, and I wasn't disappointed"
"I took a week off my training with Oracle Team USA to join Johnny and the crew in Antigua and we all had a blast!" Beginner/Intermediate Course: Available year round! ​Welcome to the 2017 editions of the Freediving Training Camps! The Freediving training camps are once again being held in one of the free diving Mecca's of the world, the Caribbean's nature island, Dominica. Easily accessed from all parts of Europe and the US with flights via Puerto Rico, Antigua and Guadeloupe into Douglas Charles(Formerly Melville hall) airport daily. Dominica can also be accessed via Martinique and Guadeloupe via ferry. 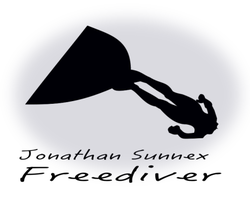 Your instructor is Jonathan Sunnex aka Johnny Deep, one of the worlds leading freediving athletes, coaches and instructors. Jonathan has coached athletes to 3 World Records(AIDA and CMAS), World Championship medals and more than 50 National Records and Continental records! With personal bests of 110m CWT, 101m FIM and 65m CNF, Jonathan has the skills, knowledge and experience to help you not only achieve your expectations but to surpass them! This fall Johnny will be joined by Sofia Gomez, two time world record holder, winner of 2016 Vertical Blue and Caribbean Cups and one of the deepest women of all time! With Sofia's background as a competitive fin swimmer, she will be providing additional expertise on monofin technique. The format of the Training camps is designed specifically by Jonathan to have the athletes peak at exactly the right time to achieve their potential! We will work on conditioning, technique, mental preparation and much more! Specialized clinics included in this months camp include 'deep equalisation' and 'visualisation for success'. These have proven to be favorites amongst camp participants and you will be presented with information not seen in any freediving text books or manuals. The main focus of this camp is depth, however static sessions are included to help refine technique, improve equalisation and conditioning. The Freediving Training camp is a fantastic learning opportunity for recreational divers and serious athletes a like. So if your looking to take your diving to the next level.. this is the best place to start! Prices include standard freediving equipment usage(non personal equipment) and tuition. Accommodation- various options are available to suit all budgets, with both hotels and apartments located just a short distance from the dive site. Please contact us for more information. Your place will be confirmed with a 50% non refundable deposit. Full payment should be arranged in advance. Or for a closer look at Scott's head, Dominica and Blue Element Freediving please check out our video's!